Each year, 1.3 million mothers and newborns in sub-Saharan Africa die from complications related to childbirth. Structural barriers – including information gaps regarding when to seek care, financial constraints, hospital overcrowding, and low-quality facilities – may hinder a woman’s ability to receive timely and adequate healthcare before and during labor. Additionally, research indicates that women, particularly in low-income countries, often decide where to deliver very late into their pregnancies. Such delays can reduce delivery safety by making it harder for healthcare staff to detect and manage any delivery complications. To address these barriers, researchers designed two interventions to evaluate whether cash transfers and decision-making nudges could incentivize earlier and more effective delivery planning and help women deliver in higher quality facilities. Nairobi, Kenya has among the highest maternal and neonatal mortality rates in the world. According to a 2011 survey, only 5 percent of maternity facilities in Nairobi performed cesarean sections, around half had referral capability, and many others lacked access to antibiotics and other essential medicines. Moreover, in a 2015 survey, one out of every five women reported experiencing disrespect or abuse during delivery. Hundreds of delivery facility options are present in Nairobi, varying widely in quality and cost. The complexity of delivery facility choice in this context could lead women to choose poor quality facilities and to make decisions about which facility to use very late in pregnancy. Researchers piloted two interventions to address potential behavioral and structural barriers to timely arrival at high quality delivery facilities. The interventions took place from February to September 2015 in 24 informal settlements (“slums”) throughout Nairobi. Subsequent measurement of delivery facility quality took place between June 2016 and June 2017. Eligible participants included pregnant women 18 years of age or older between five to seven months gestation who planned to deliver in a health facility, did not plan to leave Nairobi during or after pregnancy, and could be reached by mobile phone. On average, participants were 25 years old and 60 percent reported that they could not spend KSh 1,000 (~US$10) on treatment or medicine if someone in their household became ill. Labeled Cash Transfers (LCTs): During their eighth month of pregnancy, women received a KSh 1,000 (~US$10) transfer with a label stating, “This is intended to help you deliver in the facility where you want to deliver.” Researchers hypothesized that labeling would increase the probability that the cash was spent on delivery in the facility that the woman preferred. 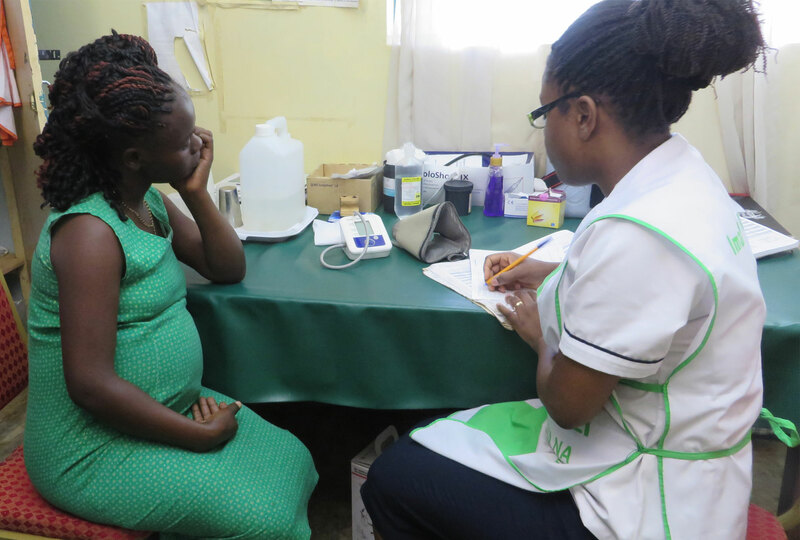 Precommitment Labeled Conditional Cash Transfers (L-CCTs): Women received the LCT treatment plus an additional cash transfer if they delivered in a facility to which they had committed during their eighth month of pregnancy. Staff provided women with commitment cards to record their top two facility preferences and told mothers they would receive an additional KSh 1,000 if they delivered at either of those facilities. Researchers anticipated precommitment would encourage active decision making by incentivizing earlier, more deliberate planning of which facility to use and how to arrive there on time. Comparison: In the comparison group, eligible women received neither the labeled cash transfer, nor the precommitment conditioned cash transfer. Researchers surveyed study participants at baseline (five to seven months gestation), midline (eight months gestation), and endline (two to four weeks after birth). At baseline and midline, all women listed and ranked potential delivery facilities. At endline, researchers used birth certificates or discharge papers to determine whether women followed through on their delivery plans. They also surveyed participants about delivery timing, facility decisions, and transportation. To measure the impact of the intervention on the quality of delivery facility used, Innovations for Poverty Action Kenya completed quality assessments of 64 of the 92 facilities used by study participants for delivery in the year following the intervention. The assessment consisted of interviews with facility staff members and direct observation of the facility’s supplies, records, and physical condition. 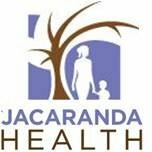 Researchers found that cash transfers that incorporated both labeling and precommitment led to earlier and more effective planning for delivery, increased the likelihood that women would deliver in their most preferred facility, and increased the probability that women would deliver in higher quality facilities. While the labeled cash transfer alone led to some quality improvements, it had no effect on other outcomes. Facility Planning: The precommitment intervention incentivized women not only to make delivery decisions earlier, but also to stick to those decisions. The L-CCT treatment increased the likelihood that women delivered in a facility considered during their eighth month of pregnancy by 18 percentage points, relative to 59 percent of comparison group women. Moreover, the precommitment package increased the likelihood that women delivered in their most preferred facility by 14 percentage points, relative to 32 percent of comparison group women. While some of this disconnect could be due to new information or changes in preferences late in pregnancy, it may also be that women, when lacking incentives, have trouble making and implementing decisions about delivery facilities. By contrast, cash incentives alone did not affect these outcomes. Distance and Transportation: Study participants faced substantial constraints to traveling outside of their neighborhoods for delivery – approximately 23 percent of women in the comparison group delivered in a facility less than two kilometers away. However, the precommitment intervention reduced the probability that women delivered in such a close location by nearly 10 percentage points. It also reduced the probability that women walked to facilities by 12 percentage points, relative to 30 percent of comparison group women. While the precommitment package did not increase average spending on delivery or transportation, it did increase the likelihood that women would spend something on transportation to the health facility by 12 percentage points – presumably because cash incentives helped them pay for transport. Delivery Timing: The precommitment intervention improved delivery timing. Researchers examined several variables indicative of timely arrival for facility delivery including dilation at first exam, time between contractions at arrival, and the time between facility arrival and child birth. The L-CCT improved this composite measure of timely arrival for delivery. However, because there is no medical agreement on what constitutes dangerously late arrival, researchers cannot evaluate the impact of an intervention like this on clinical outcomes. Perceived Treatment Quality: Both interventions decreased the probability that women experienced abuse or disrespect during their visits by about 7 percentage points. However, only the precommitment intervention affected other patient-reported treatment quality measures – improving the overall perception of non-technical performance of health workers (e.g. respect, friendliness, and communication). Facility Quality: Across all groups, women delivered at poor quality facilities. Neither intervention had effects on the overall quality of facilities used for obstetrics, of which only 48 percent met standards for routine obstetric care. However, both interventions increased the fraction of women who delivered in a facility that met standards for routine newborn care (the LCT treatment by nearly 15 percentage points and the L-CCT treatment by 10 percentage points, compared to 48 percent of comparison group women). The precommitment intervention further improved the likelihood that delivery facilities met standards for both basic and emergency newborn care, both by about 15 percentage points, relative to approximately 30 percent of comparison group facilities. These promising but mixed results suggest that a larger study of the precommitment intervention is warranted. While it may be more challenging to deliver at scale, mobile money platforms such as M-Pesa should increasingly diminish the cost and complexity of administering cash transfers programs. Cohen, Jessica, Claire Rothschild, Ginger Golub, George N. Omondi, Margaret E. Kruk, and Margaret McConnell. 2017. “Measuring the Impact of Cash Transfers and Behavioral ‘Nudges’ on Maternity Care in Nairobi, Kenya.” Health Affairs 36(11): 1956-1964. Cohen, Jessica, Katherine Lofgren, and Margaret McConnell. "Precommitment, Cash Transfers, and Timely Arrival for Birth: Evidence from a Randomized Controlled Trial in Nairobi Kenya." American Economic Review: Papers and Proceedings, 2017 107(5): 501-05.